Click the Add Counsel for eService button (Figure 1, A). The Attach Opposing Counsel Attorney(s) to this case window opens (Figure 2). 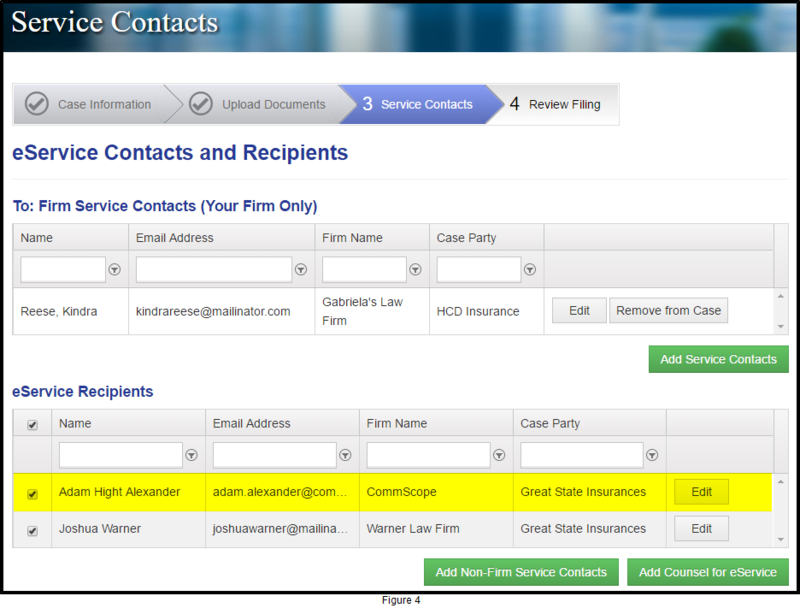 Enter any part of the first name and/or last name and/or firm name and then click the Search button. Remember that the more information you enter the fewer the number of names will be found. If the counsel's name is found it will be displayed, Figure 3. 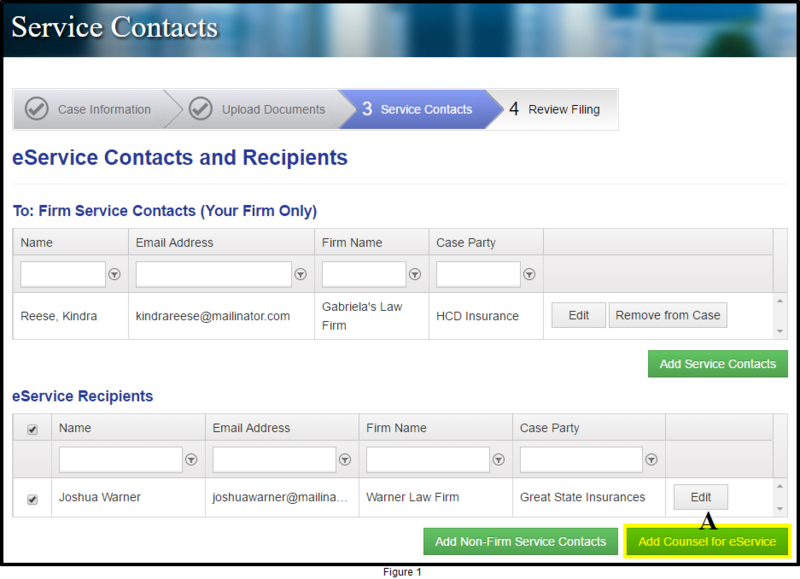 Click the check box in the far left column (Figure 3, A) of the name to add that name to your eService Recipients list. Be sure to select the Case Party (Figure 3, B) associated with counsel. Click the Save and Close button (Figure 3, C). If counsel is not found on the Public Service Contact List, follow these instructions for adding counsel as a Non-Firm Service Contact. When you later click the Submit button for the filing you will also submit your eServices to the eFileTexas system for service to your recipients.